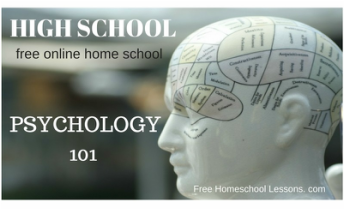 Using a youtube channel subscription of lectures from Dr. Chris Grace as he introduces his class to the topic of psychology. With various examples, he explains what sort of human behaviors psychology is interested in studying. Dr. Grace has his class contribute with examples from their own experience. Adding individual assignments, extra reading and hands on projects and questionnaires to complete this course at a high school level. ** Keep in mind this course is from a Perspective of Christian (someone who believes humans were CREATED with purpose) as opposed to beings just evolve by chance. This will give a unique perspective to the course of psychology. He tells the story: Answer this: What is blind sight? Why would that be important in communication? 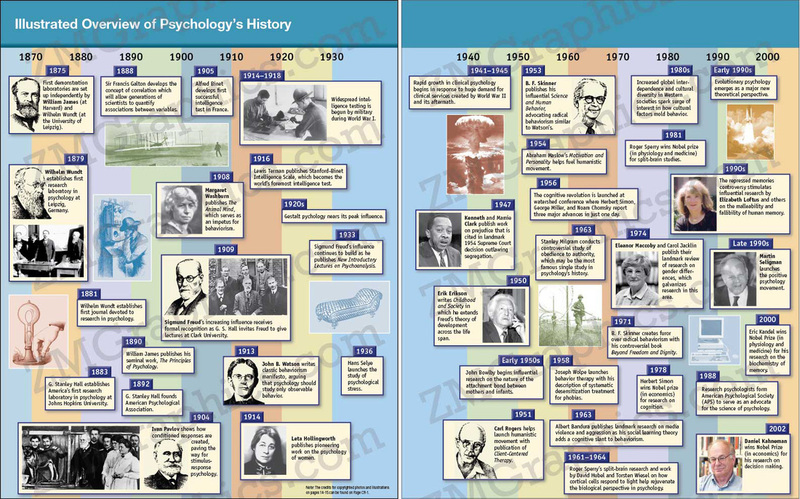 goals of psychology and gives a brief overview of the variety of perspectives that exist in the field. He shares some of the assumptions that underly much of modern science and explains how Christian assumptions play an equally valid role. What is the Most complex thing in the universe? Write down the True and False Questions. Write your personal answers - see if you are correct prior to him revealing the answers. development out of philosophy and medical science as well as the early ideas that existed at the start of the field. Dr. Grace also breifly discusses who is considered a psychologist and the range of jobs in psychology that exist today. ​WRITE: Take notes from what's on the lecture screen. DO NOT write down do true and false questions. Based on his story: explain High Reactive/ Low reactive response in kids. Who ripped/destroyed the book the fastest? Are you shy because you were born that way? what percent is genetic based on studies? ​There are some assumptions of modern scientist is that there are ONLY natural processes. Some scientists will not speak of SOUL (in material essence) and SUPER NATURAL intention. Start taking Notes at the 27 minute mark. ​OPTIONAL additional lecture on the history of Psychology from a Christian Perspective Dr Tim Rice. ​ He explains that psychology is rooted in empiricism and skepticism, and that together these seek to find reliable data and answers to questions of the mind. Dr. Grace uses a handful of examples to demonstrate how a third variable often comes to play in correlated data. Make sure to take notes about observation..
**NOTE: at minute 18 he answers the question about chew able vitamin = cocaine use. - what is the third variable that make the difference? How did you feel when he said that if you took chew able vitamins as a kid you have a higher chance of using cocaine? Some Christians call it "psychoheresy." But are psychological research, psychoanalysis, and psychotherapy really inconsistent with Christian faith and practice? Eric Johnson (So. Baptist Theo. Seminary) and Siang-Yang Tan (a pastor AND a psychologist at Fuller Theo. Seminary) discuss whether there can be such a thing as "Christian Psychology." Christian Psychology. WRITE: What is their point? How do they define Christian Psychology? How can it line up with God's word. Dr. Grace goes on to explain how experimentation can be used to isolate specific variables and determine whether a correlation is related causally. WATCH: Lecture 6 (watch 1st half 1/2) https://youtu.be/5kKqD6F2U0c?list=PLVHY3HvnI6yMIotukmARTlrCk2q8RXCHg stop at 30 minutes. 42:43 Experimentation: explain the experiment and what scientists have learned from it. **he talks WAY TOO FAST. If you can listen to just the intro the first 2 minutes <pause> try to absorb all that he said and continue listening pausing every couple of minutes to reflect/absorb. Ask yourself WHAT is the point of this segment before continuing. ​Dr. Chris Grace describes the function of neurons in the human nervous system. He explains how neurotransmitters work and how electrical and chemical impulses are relayed between neurons. Hopefully the review yesterday will make this lecture clear. Write: At the beginning of the lecture explain the experiment he is describing. What did scientist discover in the rats? How does that relate to humans and addiction? OPTIONAL: Additional Anatomy resources to help in the understanding of HOW Neurons control body functions. ​Dr. Chris Grace describes the function of neurons in the human nervous system. He explains how neurotransmitters work and how electrical and chemical impulses are relayed between neurons. 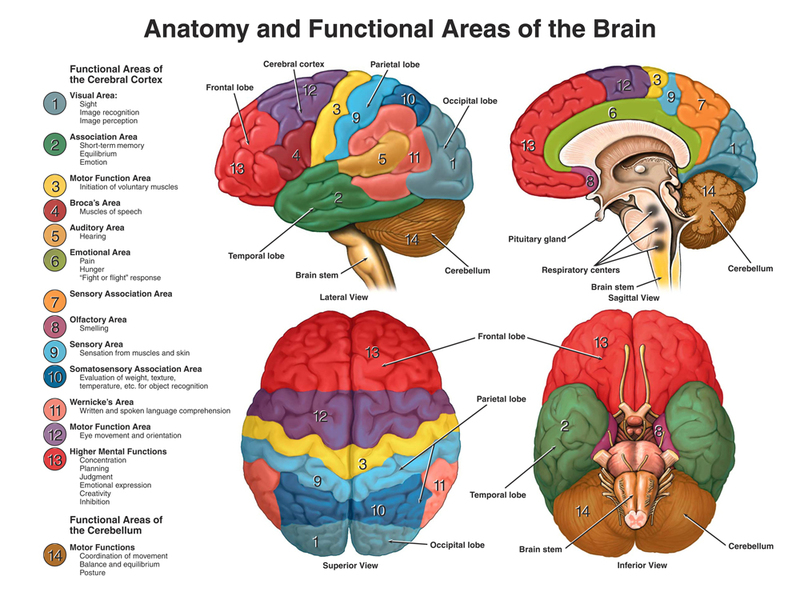 Dr. Chris Grace describes the organization of the human brain. He explains where certain functions are localized and how affecting these locales can result in significant behavioral changes. Dr. Grace also discusses the plasticity of the brain. continue lecture 9 Dr. Grace also discusses the plasticity of the brain. ​Why do People Abuse Drugs? ​LEARN: Interactive activity. Label the brain. score yourself. Print. Dr. Chris Grace describes the earliest stages of brain development in pre-natal and newborn people. He explains several of the brain functions that manifest early on and even some of the personal qualities that seem to be genetic. Dr. Grace differentiates between nature and nurture in psychological development. ​Write: How has the advent of MRI, 3D and 4D ultrasound changed our perception of fetal development and life before birth? Dr. Chris Grace discusses early development of the mind in children and adolescents. Two three-year old children join him for some general questions and exercises that demonstrate their still-developing ideas of object permanence, reversibility, and state-of-mind. Dr. Grace explains the general stages of development through adolescence. ​Write: What did you learn about in the animation. What are the 3 Myths. What are some of the solutions. What does Dr. Siegel say is happening to the human brain (hint: use it or lose it). ​Dr. Chris Grace describes how people come to understand the world around them through sensations and perception. He relates these principles to the abilities of human attention. Dr. Grace goes on to explain how the mind processes sensory data using constructive perception. What is the percentage increase of getting in a car accident and talking on a cell phone? While driving, Why is listening to a talk show on a radio different than listening to a cell phone conversation? What is the most common sensory disorder in the world? ​Trading speed (brain processing) for accuracy = getting fooled. ​Lecture ENDS with a mystery. Write it down. Listen to the first half of lecture 15. Dr. Chris Grace speaks about the various levels of consciousness that humans experience. He describes the cycles that the brain regulates in the body and how often these generally occur. Dr. Grace begins to discuss sleep and how it affects the brain. He also explains numerous sleep disorders and how they can be treated. Dr. Grace also discusses hypnosis and relates it to the principal of dissociation. What challenges did the students over come. What do you feel about her impression of girls being brave? Explain what a TRUE MIRROR was and what she learned from her experience. She is asking questions. WRITE THOSE DOWN. What questions does she ask you? If you could be woman of your dreams who would you be? What do YOU think of you. What are the points of a talk? Dr. Chris Grace discusses psychological disorders. He gives the percentage of people affected by psychological disorders and poles his class to see what their own experience has been with these issues. Dr. Grace explains the very specific criteria for psychological abnormality.